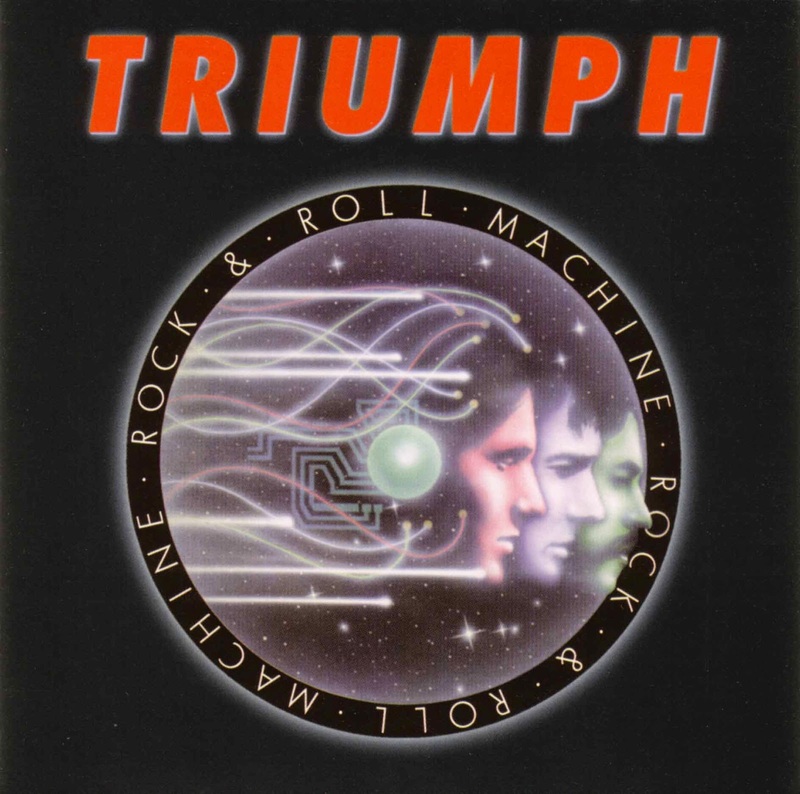 Triumph is a Canadian Hard Rock trio formed in Toronto during 1975. The roots of the band date back to 1975 when Rik Emmett (ex of Act Three), Gil Moore (ex of Sherman & Peabody) and Mike Levine began touring the local Toronto circuit, spreading the word of their head-banging gospel. Backed by Emmett's blending of classical guitar melodies with effects-ridden metal riffs, their reputation gained them a deal with Attic Records in barely a year. In 1977 released them second album "Rock & Roll Machine". The title track is a standout due in large part to Emmett’s light-speed guitar solo. Also included are a cover of Joe Walsh’s “Rocky Mountain Way” and the two-part “New York City Streets” and the adventurous epic medley “The City”. Triumph’s initial popularity developed in an unusual way.